Thousands of people who are in mental health crisis and struggling with serious debt will be given breathing space from further interest, charges and enforcement action following a campaign victory by the Money and Mental Health Policy Institute. Amendments to the Financial Guidance and Claims Bill passed in the House of Commons today are set to help ensure that those in serious debt who are in hospital or under the care of a community crisis team WON’T have to attend a debt advice meeting in order to be eligible for a ‘breathing space’ respite period when it is introduced in due course. The amendments were passed with the help of three MPs after a sustained campaign led by the Money and Mental Health Policy Institute, which was set up by MoneySavingExpert founder Martin Lewis. The institute says those in mental health crises may struggle to seek debt advice but should not be excluded from ‘breathing space’ as a result. It estimates up to 23,000 people a year experience problem debt while in hospital for a mental health crisis. Some 23 organisations, including Mind, Rethink Mental Illness, StepChange and Carers UK supported the campaign, as did more than 80 MPs from across Parliament. 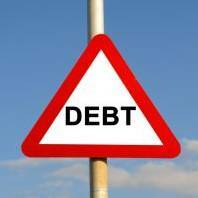 If you’re struggling, see our Debt Problems and Debt Solutions guides, and our Debt-Free Wannabe forum board for help and support. Martin Lewis, who is founder and chair of both MoneySavingExpert and the Money and Mental Health Policy Institute, said: “This move could genuinely save lives. It’s a victory for common sense  and we’re delighted the Government has come on board. People in hospital with severe anxiety, depression and other difficult conditions are already struggling enough without heavy-handed creditors pushing them. The idea behind the ‘breathing space’ scheme – which is also known as the Debt Respite Scheme – is to give people in problem debt a fixed period without fees, charges, interest or enforcement action, to allow them time to get on top of debts before they spiral out of control. The Government announced plans for a six-week period of breathing space back in October 2017, although campaigners including Martin Lewis have argued this must be longer. The Financial Guidance and Claims Bill will help enact breathing space, though further details of the scheme are set to be finalised over the summer and we don’t yet know when the scheme will start. The amendments passed today ensure that “people who are staying in hospital or under the care of a crisis team in their local community will be protected” and that those being treated by mental health crisis services are specifically protected.